The problem of following multiple coherent targets using a camera is called the group following problem. While camera tracking is a popular subject in literature, the group following problem has not gained much attention despite that there are many scenarios where it is desired for a moving sensor to maximize its visibility of a group of moving targets. In this work, we address the scalability issue by investigating the idea of cached visibility. 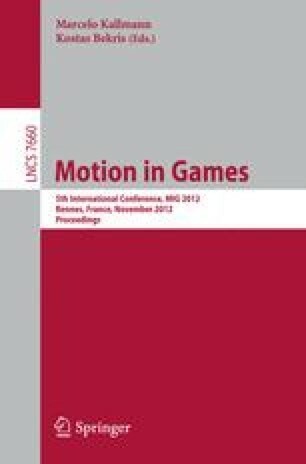 We will discuss two camera motion planners called cached intelligent observers (cio). In our experimental results, we show that cached visibility provides better balance between efficiency and performance than existing methods, particularly in large complex environments.